You can share a project by sending a project link to someone else or even by posting it on social media (such as Twitter or Facebook). The link allows a recipient to view a Project Presentation, including Floor Plans, Live 3D, 3D Photos and the furniture used in the project. Additionally, if the person you are sharing your project with has the RoomSketcher App installed on their computer or tablet, they can open your project in RoomSketcher and edit your design. When they edit your project, they are working on a copy of it so they will not make changes to your version. Sign In to www.RoomSketcher.com. Your RoomSketcher Web Account opens. Click the Projects tab in the top middle. Your project list opens. Click the project you want to share. The Project Dashboard appears. On the left-hand side, click Share. - A link for the Project Presentation. Copy and paste this link to send it to someone (instructions below). - A View Project Presentation button. Click View Project Presentation if you want to see what the Project Presentation looks like. One way to copy is to left-click the link to select it, and then right-click and choose Copy. Paste the link, for example into an email message to share it with someone. Or, sign in to your social media account, and then you can post the URL on your feed or Timeline. When a person clicks the link on a computer or tablet, the Project Presentation opens. 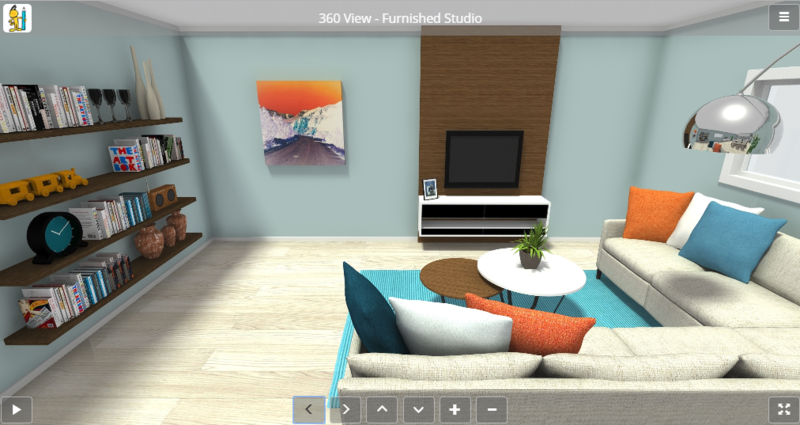 They can view the floor plans, Live 3D, the furniture, and more. To open the project in the RoomSketcher App, they can click Open in App. Tip: The person must have first installed the RoomSketcher App on their computer or tablet. To do so, they can click Download App in the top right of the Project Presentation. You can share Live 3D for a project. This allows people to experience your design on a smartphone, tablet or computer. 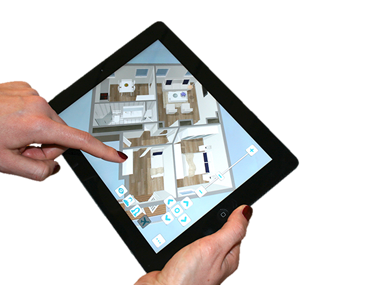 They will see a live 3D walkthrough of your project - either viewing it from above or virtually walking around inside. With Live 3D, they can view your design, but they will not be able to edit it. 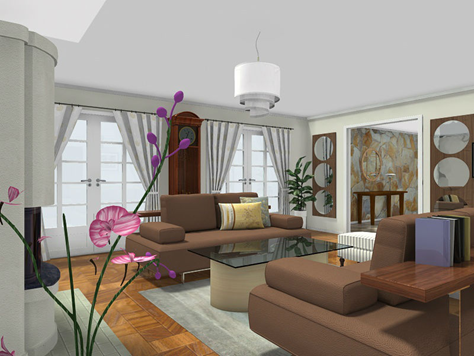 To learn more about how to share Live 3D, see: Share Live 3D Floor Plans. You can share 360 Views for a project. A 360 View allows people to stand and turn around inside a room. To learn more about how to create and share a 360 View, see Create a 360 View (App). 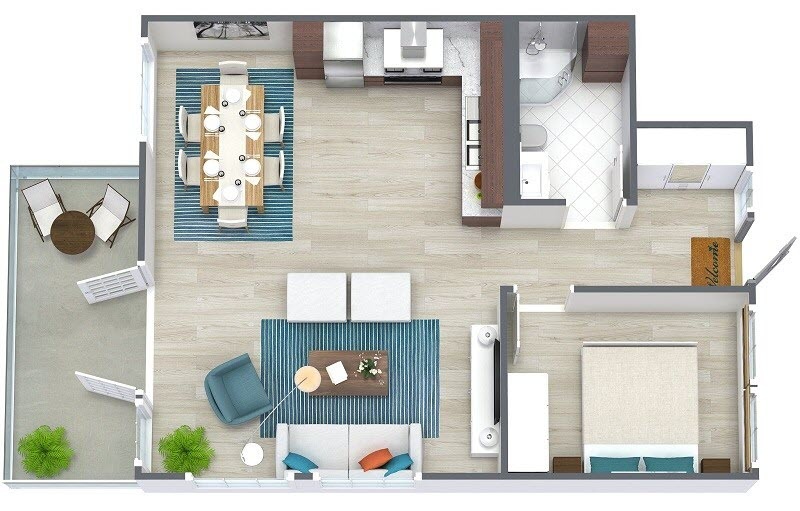 You can download 2D and 3D Floor Plans and email them as an attachment or even add them to your website. For more information, see: Generate and Print 2D and 3D Floor Plans (App). You can download 3D Photos and email them as an attachment or even add them to your website. For more information, see: Take Snapshots and Create 3D Photos (App).